Let’s get this out of the way at the start: Electronic Arts’ (EA’s) Spore Creature Creator is not a game. It’s a software toy. Having said that, it’s loads of fun and very addictive, especially for whole families. It’s also a clever bit of marketing. Will Wright is arguably one of the most important game designers ever. The products he’s created include SimCity and The Sims. They belong to a genre of gaming loosely called “god games” because you’re an omniscient presence in a world that goes about its business blithely unaware of your existence, but one that keenly reacts to everything that you do. With SimCity, Wright tackled the concept of urban planning, enabling you to plot out industrial, commercial, and residential sectors of a modern metropolis, complete with transportation, utilities, parks and recreational facilities. Gradually, Wright increased the complexity of the world through sequels. Later he’d turn his focus inward in The Sims, focusing on the trials and tribulations of individual people—Sims—in a virtual world where you can adjust your Sim’s interactions with others, responding to their likes and dislikes, even decorating their homes. Now Wright has taken the concept a step further. In September he’ll release Spore, his most ambitious game to date. It’s the culmination of more than four years of work to create a game that has you follow the development of a creature from a single-celled organism swimming in a pool of muck all the way through its evolution to a self-aware creature with a thriving civilization, eventually finding its way out into the stars. The game is coming to the Mac, PC, and iPhone, among other platforms. 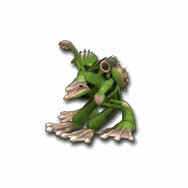 In preparation of the game’s release, EA introduced Spore Creature Creator. 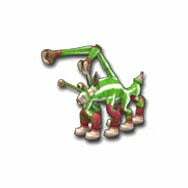 It’s a software toy that features the creature design tools which will be in the finished Spore game. It lets you generate a walking, communicating creature using hundreds of different design elements. And each element you use has an effect on the critter. Once you’re done designing your creature, you can paint it, then take pictures of it that you can e-mail to friends or upload a video of it dancing and cavorting about to YouTube. You can also share your creature design with other users on the Spore Web site using the Sporepedia, a database of Spore creatures linked to your own bestiary. You can name your creature, add a description to give viewers a basic idea of what it’s like, and even tag it to help make it easier for people to find your creature among the hundreds of thousands of imaginative designs that have already been uploaded to Spore.com. Like the full game, Spore Creature Creator runs on the Mac, and it comes in two versions—a free one with a limited toolset (one-quarter the number of items you have in the full game) and a $10 paid version that you can buy either on hybrid CD or download (hopefully soon) from Gametree Online. What makes Spore Creature Creator so fun is the ability to create and quickly animate a creature from your own imagination. The software places a few basic limitations on you—creatures can only be a certain size; they need to have arms in multiples of two; and they can only have so many appendages, orifices and sensory organs. But within that framework the sky’s the limit. Within the first two days of release Spore Creature Creator users had generated more than a quarter of a million different creature designs, and as I write these words, that number had topped 425,000. And those are only the designs that Spore Creature Creator users are sharing with each other. Presumably, there are many others who haven’t the interest in sending their creature designs online. The one thing I’ll warn you of is that Spore Creature Creator—as with EA’s 2007 Mac game releases before it—require an Intel-based Mac with a better 3-D graphics system than the GMA 950 chip found in older MacBooks, Mac minis and some entry-level iMacs. This is because the game was brought to the Mac using TransGaming’s Cider translation software. But if your system fits the bill, give Spore Creature Creator a try—especially if you have kids. I think you’ll find a new way to spend time with them that sparks everyone’s creativity all the way around. If you do download or purchase Spore Creature Creator and you come up with some designs you plan to share, I hope you’ll tag them with “macworld” so we can find you when we go looking. And feel free to drop me a line to let me know as well.